Blow-Up Pillow For Your Travel Comfort. 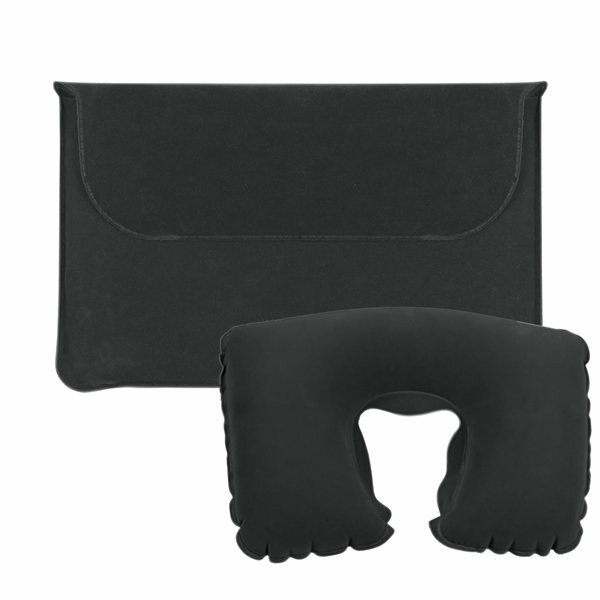 Great travel pillow, convenient to store and take with! Soft material and the logo image turned out great. Easy to travel with. Great gift. Great size. Easy to transport. Although package is small, pillow is regular size. Love the convenience for travel. Very big hit. I'm extremely pleased with the outcome!